The Health Secretary, Jeremy Hunt, has, during the course of last week, commented on a study by researchers from Manchester, Sheffield and York Universities, into errors that have been made when drugs are being prescribed. He acknowledges that serious mistakes are being made by GPs, Pharmacists, Hospitals and Care Homes, mistakes that are “causing levels of harm and deaths that are clearly preventable”. 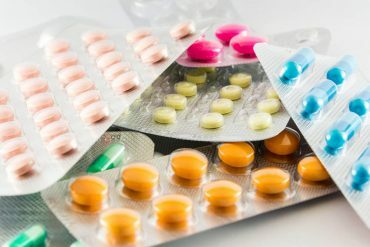 The researchers concluded that drug errors, which include the wrong medication being given to patients or medication given at incorrect doses, could be a factor in up to 22,000 deaths a year. One such death, according to the family, is that of Mrs Patricia Cubberley, who died on 4 August 2017 in Broomfield Hospital Chelmsford. Mrs Cubberley suffered anaphylactic shock following the administration of penicillin, to which she was allergic. Mrs Cubberley’s son and daughter, Ian and Angela, through instructing Solicitors Thompson Smith and Puxon, engaged Counsel, Mr Edward Ramsey of 12 Kings Bench Walk, to represent them at their mother’s inquest which has taken place over the last two days in Chelmsford. Counsel helped Mrs Cubberley’s family ask the questions they had about her treatment: whether mistakes were made that may have led, or materially contributed, to their mother’s death. Mrs Cubberley had a mixed medical history and had attended hospital on a number of occasions. She had incorrectly been administered penicillin on two separate occasions prior to her death, albeit by a different hospital, and had suffered anaphylactic shock. These episodes, as recently as 2016, had been recorded on computer systems at the time. In March 2017 Mrs Cubberley moved to Southminster Residential Home for respite care. Her Care Plan at the home clearly detailed her penicillin allergy and this information was at that time passed to Boots Pharmacy, using a Service User Update Form, completed by the home, for entry onto their systems and to generate a Medication Administration Report (MAR). However, due to an administrative error at the pharmacy, Mrs Cubberley’s MAR was not updated to reflect the penicillin allergy. On 1 August 2017 Mrs Cubberley fell ill and very quickly deteriorated. She was attended by a first responder and an ambulance and subsequently transferred to Broomfield Hospital. Unfortunately the information about Mrs Cubberley’s allergy was not sent to the hospital with Mrs Cubberley and the ambulance crew were unaware that she suffered from an allergy to penicillin. Records reflect that a member of the ambulance crew asked Mrs Cubberley if she had any allergies, as did the hospital staff on her arrival, but she is noted to have responded that she was not allergic to anything and to have confirmed that she had taken penicillin previously. Despite being extremely unwell with suspected sepsis the hospital did not interrogate her records further or seek further information from Mrs Cubberley’s daughter who had arrived at the hospital very shortly after her mother but was told to wait outside. Had they done so they would have discovered the penicillin allergy. The Accident and Emergency department subsequently administered penicillin to treat the sepsis which had been diagnosed. Mrs Cubberley suffered severe anaphylactic shock. Although this was recognised and treated, Mrs Cubberley remained very ill and died on 4 August 2017. Mrs Cubberley’s children were not happy with the hospital’s response to their questions following her death and were concerned that the anaphylactic shock suffered by their mother was not mentioned on her death certificate. They queried this with the coroner and a post-mortem was ordered. The post-mortem report confirmed that anaphylactic shock was a contributing factor.